Dublin is the capital of the Republic of Ireland. The first references that are made of the first settlers are about 140 AD, so it is a city with much history. It has also been the birthplace of world-famous authors such as Oscar Wilde, James Joyce and Bram Stoker. With this background we can say that Dublin is one of the best places to go on vacation. O’Connell Street: It is in the heart of the city and main avenue in Dublin. Begins on the River Liffey and ends in Parnell Street. It is one of the main shopping areas. It has wide sidewalks so it is very nice to walk around here. In addition to any time of day is full of pedestrians. One of the things you can see in this street is the building of the Central Post Office, built in 1818. It has great historical value because here was proclaimed the Republic of Ireland. Grafton Street: Like O’Connell Street, is a very central street. It is pedestrian and you can’t avoid buying something, as it is one of the major shopping areas of the city. The street is formed by musicians and street performers, so it has an amazing atmosphere. One of the most important things to do in this street is a bronze statue of Molly Malone. Other places to visit in Dublin are the Guinness Storehouse. This world famous beer brand is almost a national symbol, and the visit is very enjoyable. And at the end of the tour are teatime with a pint of Guinness in famous Gravity Bar, from which you can see the city with 360 degree perspective. An important area and you can not miss is the Temple Bar, as it is the oldest and most picturesque of the capital. Here different cultures come together in cultural venues, bars and traditional Irish pubs. It has a great nightlife where the restaurants are filled with tourists who want to experience the local cuisine. In the morning also comes alive as it hosts various food markets or books and second-hand clothes. 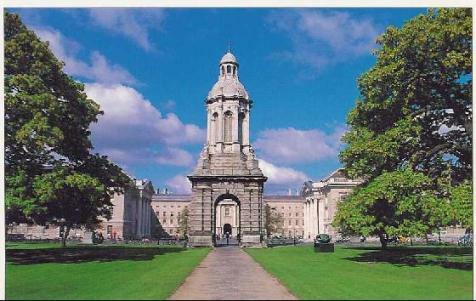 You can also visit historical sites such as Trinity College Dublin, the oldest and most popular University of Ireland, as it was founded in 1592 by Queen Elizabeth I. This university has been seen going through their classrooms to students such as Oscar Wilde or Bram Stoker. The Library is also noteworthy because it has the largest collection of manuscripts and printed books in the country. The jewel of the library is the Book of Kells, which is believed to have been created by the monks in the early ninth century. This visit will like a lot and takes you back to the past watching the endless shelves full of books, the smell of old wood or the dozens of marble busts. Finally we will give you one last tip. As in many European capitals Dublin has an unstable weather, and almost always rainy, so travel in the time of year that you travel, put in the suitcase the raincoat or umbrella … You will see how will be the ideal holiday! Copyright © 2019 The Travel Masters. All rights reserved.